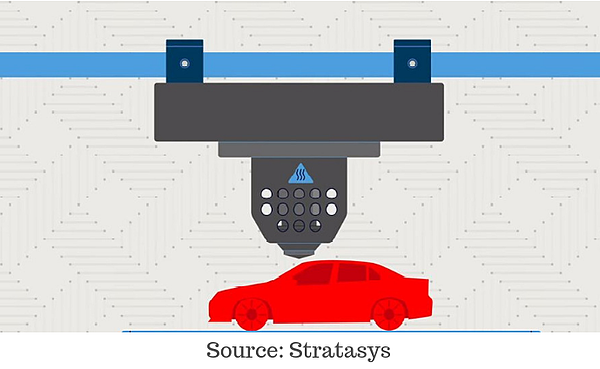 3D printing is currently leading the pack on the prototyping side of things. It’s fast, affordable and extremely easy to design parts. 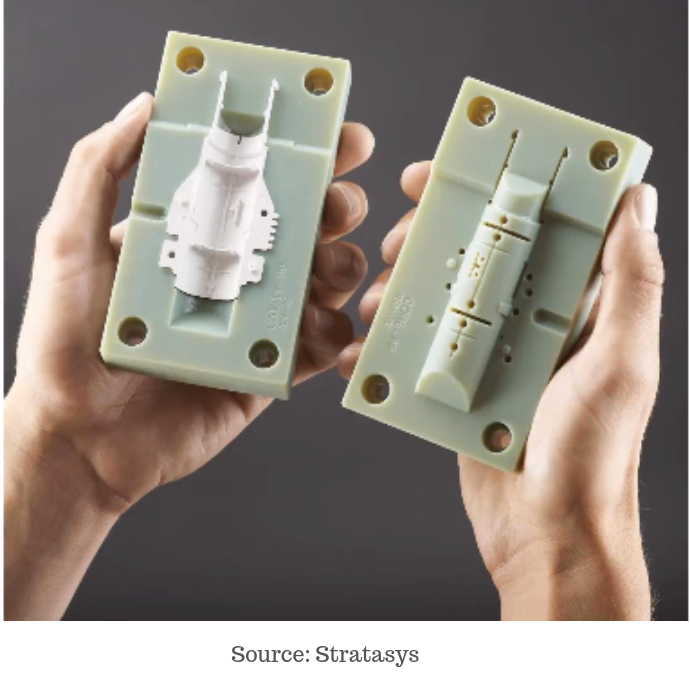 3D printers use two main technologies, PolyJet and Fused Deposition Modeling (FDM), each with its own set of considerations. There are several methods for creating plastic parts – at both the prototyping and production level as well as some best design practices for better parts result. FDM is what we traditionally think of when talking about 3D printing. It’s basically a 2.5 axis hot glue gun that extrudes layers of model and support materials. 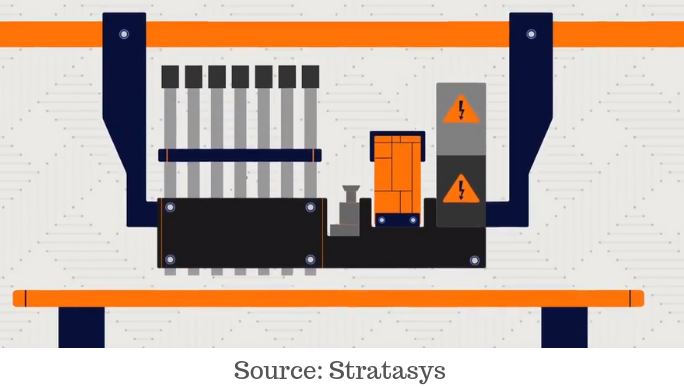 This is by far the most common method of 3D printing and what you’ll typically see in your consumer models. The main advantage to 3D printing is that you can toss everything you’ve ever learned about draft angle, manufacturability and tolerancing out the window. If you can design it, you can 3D print it. During the design process, we recommend you think about part orientation and expected stress when printing. The next design consideration is in the tolerance of the printer. Most high-end printers can hit a few micrometers in tolerance, but many of the desktop models simply can’t print with that accuracy. Think about this when designing parts – and especially assemblies. PolyJet printing uses a photopolymer that hardens with exposure to light. The major advantage of PolyJet technology is the incredible precision you can get, as well as being able to mix materials and colors into a single part thanks to the multiple extruders on PolyJet machines. Design considerations are the same you’d see in an FDM model, but if you’re outsourcing the print job just be sure to discuss the orientation and strength required with the printing company you’re working with – they're experts at determining what’s best for your case. Thermoforming is a very simple concept – heat up a sheet of plastic, lay it on a mold and turn on a vacuum table to form the hot plastic around the mold. This technology has been around for decades and can provide incredibly strong parts for a relatively affordable setup. You’ll see this technology used for holsters, remote controls and even televisions. When designing a part for thermoforming it’s best to use surfacing techniques, or the shell command, as your result will be a simple single-thickness part. Pay special attention to any curves and bends, as the thickness of the material will define what the radius of curvature can be, and you may end up with a dome where you expected a square extrusion. >> Click here to read a client story about thermoforming using 3D printed tooling. 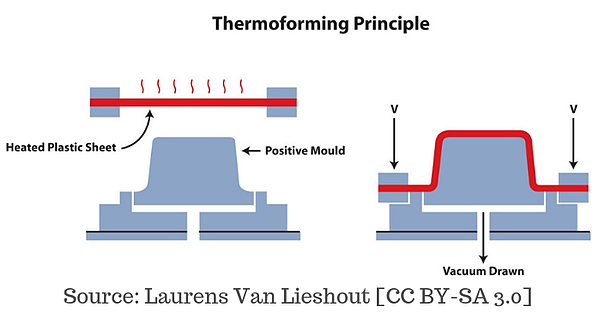 Injection molding involves heating up pellets of plastic and forcing them through a mold. Injection molds can be complex, but most parts are done with a simple two-part mold. The molds are typically pre-heated, so the plastic doesn’t harden too fast, attached together and the plastic is then injected through one or several ports in the mold. Design considerations for injection molding can be enormous, but to keep it simple, think about the draft angle first and foremost. Use SOLIDWORKS draft checker to ensure you have the correct draft angle – trying to pull a vertical part from a vertical mold will result in too much friction and breaking of parts. Another consideration is part rigidity. Add some ribs to your part to ensure that it doesn’t deform with use and be sure to add draft to these too. 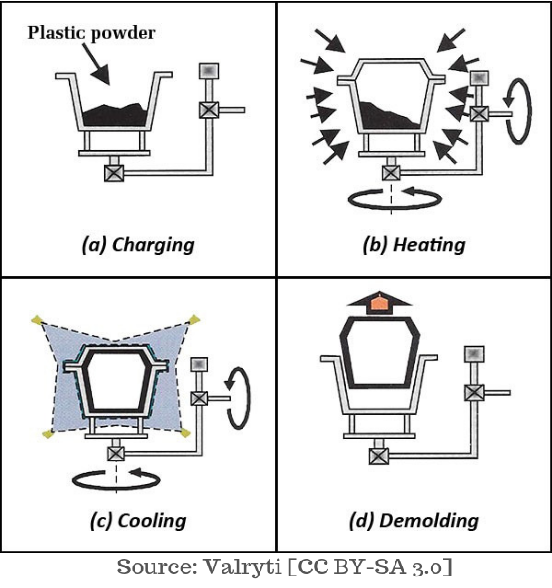 Injection molding is by far the most common plastic forming technique. We recommend you prototype with 3D printing to test your design before you invest in the mold. >> Click here to read more about injection molding. Roto-molding could be considered as one of the most interesting forms of plastic part creation. It is very similar to injection molding, however, instead of injecting the molten plastic and using pressure to push it through the mold, the mold is spun around in various angles – allowing centrifugal force to force the plastic into the mold. If you’ve ever taken a sharp turn in a car and got tossed to one side, this is what roto-molding does to the molten plastic. You’ll mainly see this form of production done on parts that can’t be injection molded due to their shape (kayaks, coolers, etc.). When designing for roto-molding, draft angle is still very important. Roto-molded parts also generally have a uniform thickness, this is due to the process used to create them, as variable thickness components and ribs tend to not fill correctly, so the shell command is your friend here! Ready to take your design skills to the next level? Click below to watch our On-Demand Webinar series on Design Validation.